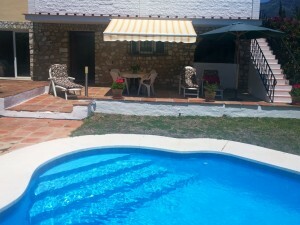 This peerless house is located in Altea La Vella - the small and pitoresque old quarter of Altea. In this romantique district you can find everything you need within walking distance: regional and international cuisine, bars, supermarkets, pharmacies etc. 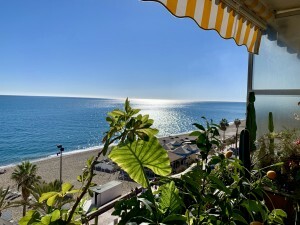 The city center of Altea and the beaches are only a 5 min drive away. The unique house has a cultural history in design and location. 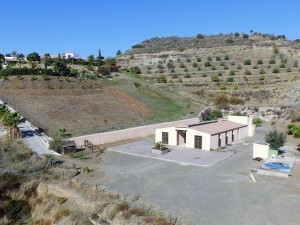 It is situated on a plot with orange, pomegrate, palm and olive trees. It´s south orientated. From the 28 sqm terrace in the 1st floor you can enoy a splendid view over orange groves and the mountains - not to forget the amazing sunset! In the back the Sierra Bernia looks up at her 1.050 meters. here you can find hiking trails, waterfalls and nonetheless the golfcourse of Altea. The house (originally built in 1900) is totally renovated (facade, floors, concrete, electricity, tubs, kitchen, doors, windows, walls, bathrooms, garden etc.). Floor heating was installed. The nice villa provide a spacious entry zone, 3 bedrooms - 1 with go-in-wardrobe and ensuite bathroom, a new kitchen, walk in shower, south orientated terrace (28 sqm) and private garden (about 250 sqm). Parking space is given on the plot.